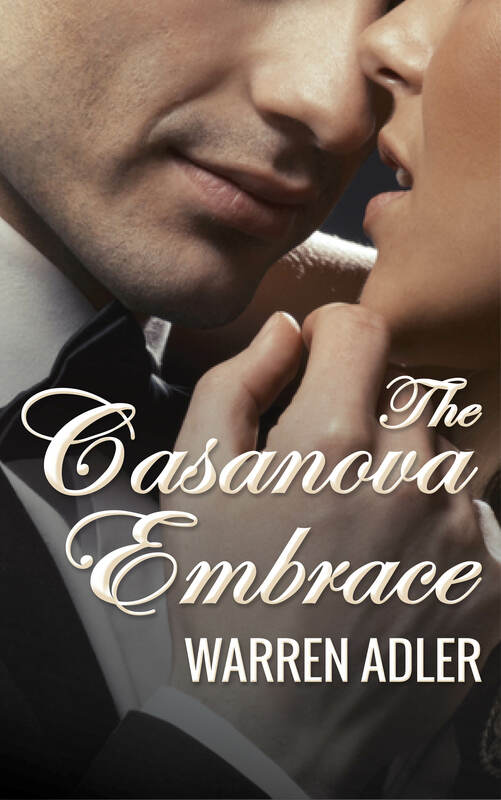 A womanizing married Senator, enjoying a tryst in his Delaware beach home with a beautiful black woman, discovers that his paramour has accidentally drowned. Aware of the scandal that could ensue and destroy his political career, the Senator mounts a campaign of cover-up and cynical lies designed to deflect the potential damage. 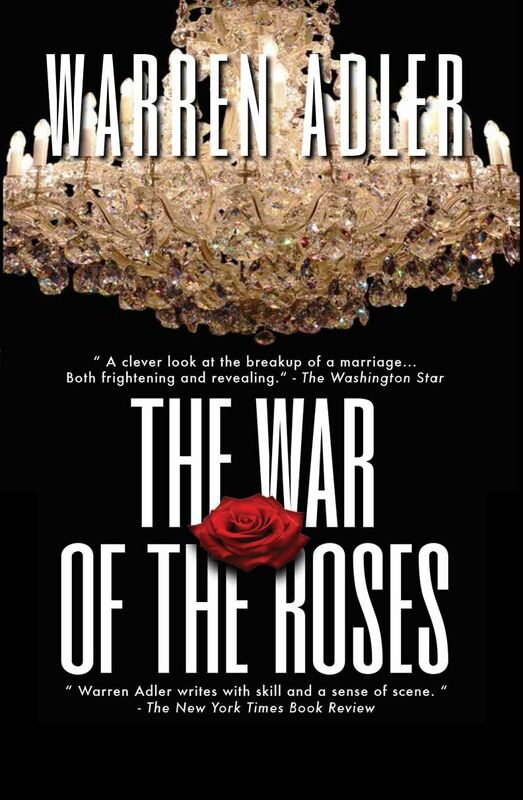 This suspenseful tale of adultery, media manipulation, and political chicanery has familiar overtones and exposes the dilemma faced by any public figure who chooses the path of dissimulation and lying to protect his or her career. This story mirrors today’s headlines and provides insights into the dark netherworld of political manipulation. The words are Warren Adler’s – and, he should know. The author of the novel Undertow which was published just this past week, Adler puts political manipulation under the microscope and comes up with a story as new as tomorrow’s headlines. In Undertow Adler explores the emotional and personal fires that keep this town’s political pots boiling. And, studies the men in power when they are in hot water. Briefly, Undertow is the story of an attractive, ambitious young Senator who finds himself in a personal crisis skirting scandal; his goal is to save his political future. Weekending at Rehoboth with his black mistress, young Senator Donald Benjamin James is plunged into the eye of a critical scandal when she drowns. With this in his personal past and his political life at stake, Undertow concerns itself with the various alternatives open that might spell salvation. Adler, who heads his own advertising and public relations firm of Warren Adler Limited, is frank to admit that his profession is “very complementary” to his writing. He said he has handled political candidates and campaigns and, “I know what goes on behind the scenes.” Undertow is a trip behind those scenes and proves Adler’s point that in the politics of today there is a “growing need” for the professional skills of experts in public relations. Just as Senator James’ future – if any – depended on how he would handle his own crisis and escalating problems that arose from it, so Adler views the political scene and its implications today. 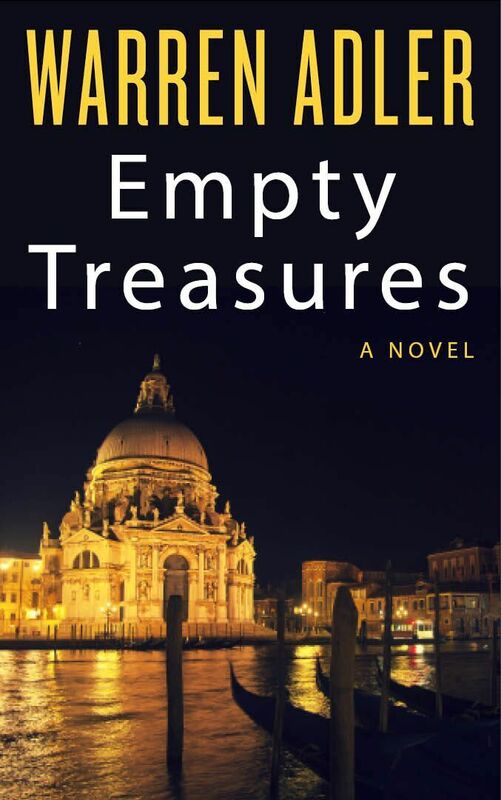 While this is Adler’s first published novel, he has had several short stories published, many dating back to his days as a graduate student at the New School in New York. “I’ve been trying to be a novelist since I was 17,” he said and admits to living a very disciplined life, saving a few hours every morning for his writing. Does he borrow personalities from his real life friends and visit them upon his characters? No – that’s not the way Warren Adler does it. While he said he may use a physical characteristic of this person or that, he instead suggested that his mind was like a computer and unrelated events from the past would click out to complete a picture and make it real. And, making it real is really what Undertow is all about. It’s Warren Adler’s way of inviting the average voter into that political backroom and showing exactly how the game is played. As for the “whys” about portraying James’ mistress as a black woman, Adler said his reason was to show how even the most dedicated person can become corrupted when they stand cheek to cheek with power. A man who willingly rips the veil from political intrigue, Adler said his ultimate aim is to make the public “aware” so that they can push to initiate substantial changes. A newspaperman prior to the opening of his own firm over 15 years ago, Warren Adler is a resident of Chevy Chase. He and his wife are the parents of three sons – David, a senior at American University who is presently Editor of the Year Book and very obviously going to follow in Dad’s footsteps; Jon, a 1974 graduate of Bethesda-Chevy Chase High School where he was on the basketball team, will be off to Ohio University in the fall; and 14 year old Michael, a budding actor who attends Interlochen School of Music and Art in Michigan. As for his neighbors and friends, they’ll probably be hearing and possibly seeing a lot more ofUndertow in the future. Already the moviemakers have demonstrated interest in the explosive story and soon local bookstores will be displaying it on their shelves. It’s this summer’s guaranteed antidote to boredom! 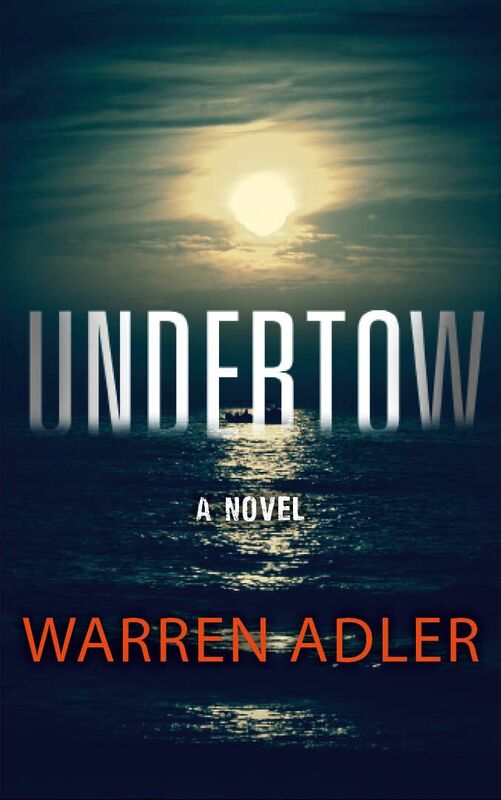 When the novel Undertow, by Warren Adler is published in July, it will probably shock the pants off the Washington advertising and public relations scene, but not necessarily because of the explosive nature of its subject. 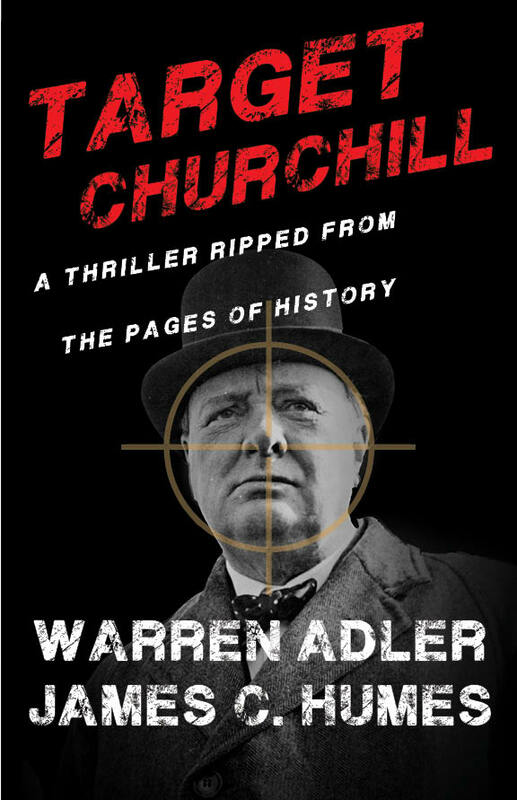 How can this busy executive, president of Warren Adler, Ltd., Washington advertising and public relations agency, owner of WAYE in Baltimore, WHAG in Hagerstown and founder and publisher of Apartment Shoppers Guide, have time to write a novel? Undertow, actually Adler’s third novel, but the first to be published, was written between the hours of six and nine in the morning in about a year. Starting out to be a fiction writer in the fifties, Adler’s first short stories began to appear in anthologies with such now famous writers as Mario Puzo, William Styron and many others who were part of the New School, in New York, as “powerful an assemblage of talent since the lost generation in Paris. “In my case, I never stopped writing or dreaming the old dream. I just went underground until I was smart enough to cope with the bone-crushing publishing world which has ground out many a talent and nurtured a lucky few. I also had to get over rejection-paranoia which used to rattle my confidence until I just stopped making the rounds. Introduced to the publisher of Undertow through a close friend, the novel was read, quickly accepted and is being backed by a heavy promotion campaign. “I’ll have something to say about that,” Adler said. 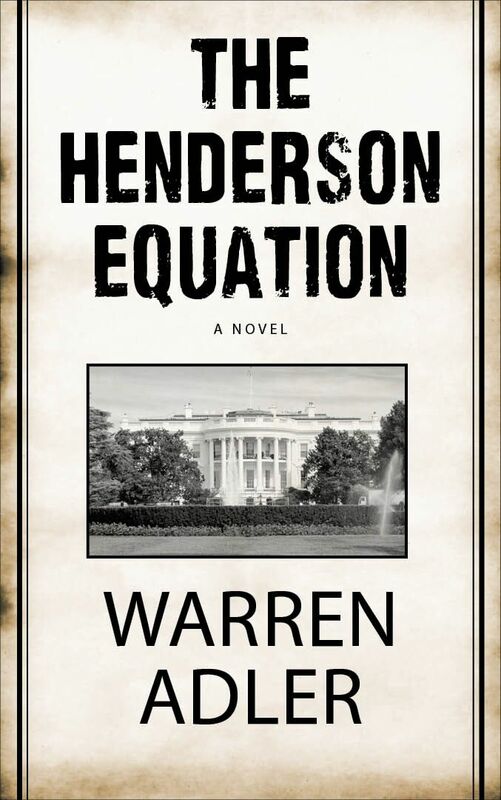 The novel is about a senator who is having an affair with a girl. The girl drowns and the rest of the story concerns how the senator is able to save his career in the face of this trauma. “Having handled many political campaigns, including a portion of the Nixon campaign in 1968, and a number of gubernatorial races, I became fascinated with the motives of politicians. Adler is busily into his next novel, beating away at his typewriter from six to nine in the morning.